Dawson (Oct. 30, 1820 - Nov. 20, 1899>) was a Canadian geologist who made numerous contributions to paleobotany and extended the knowledge of Canadian geology. 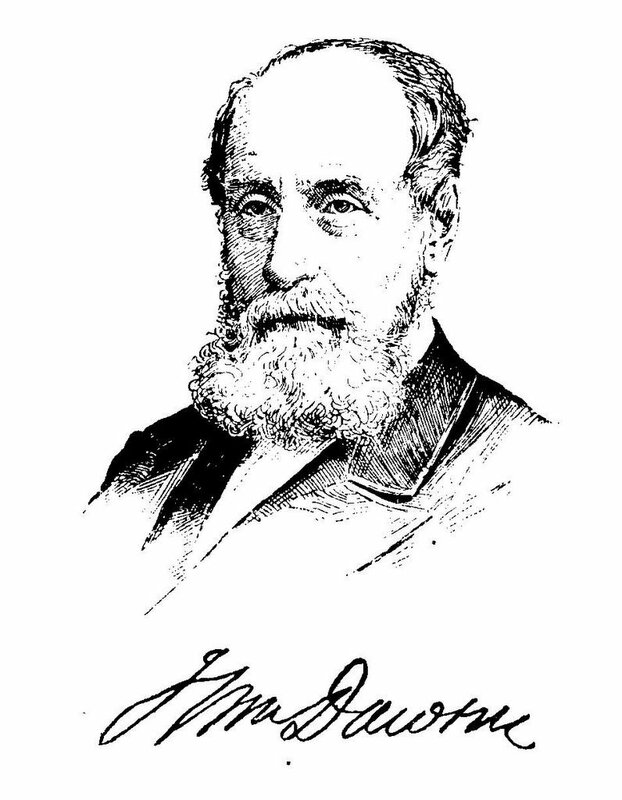 Dawson was born and raised in Pictou, Nova Scotia, where the many sandstone and coal formations provided fertile ground for his first scientific explorations, which culminated in the publication of Acadian Geology. He made many important discoveries of fossil life, great and small. These included fossil plants, trackways of lowly invertebrates, footprints, skeletons of reptiles and amphibians, millipedes and the earliest land snails. When the famous geologist Charles Lyell visited coal deposits in Pictou, Dawson acted as his guide. 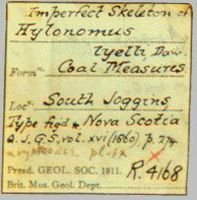 In 1851, Dawson and Lyell teamed up again to examine the interiors of fossil tree trunks at Joggins, Nova Scotia. They discovered the remains of some of the earliest known reptiles, Hylonomus lyelli, along with other rare fossils, propelling this part of the world into the international spotlight. Dawson became principal of McGill College in Montreal in 1854, which he made into a reputable institution. He remained there, teaching geology and palaeontology and acting as librarian, until his retirement. One of his lifelong dreams was realized in 1882 when Peter Redpath gave money to McGill for the construction and establishment of a museum, naming Dawson as director. Today the Peter Redpath Museum of Natural History houses many specimens from Dawson's personal collection. Info from HERE and HERE. Images from HERE and HERE.